Come watch the 144th Kentucky Derby and celebrate Cinco de Mayo at The Living Room! Starting at 4 PM on Saturday, May 5th, we will be holding a watch party and Cinco de Mayo event with samples and giveaways all night long! 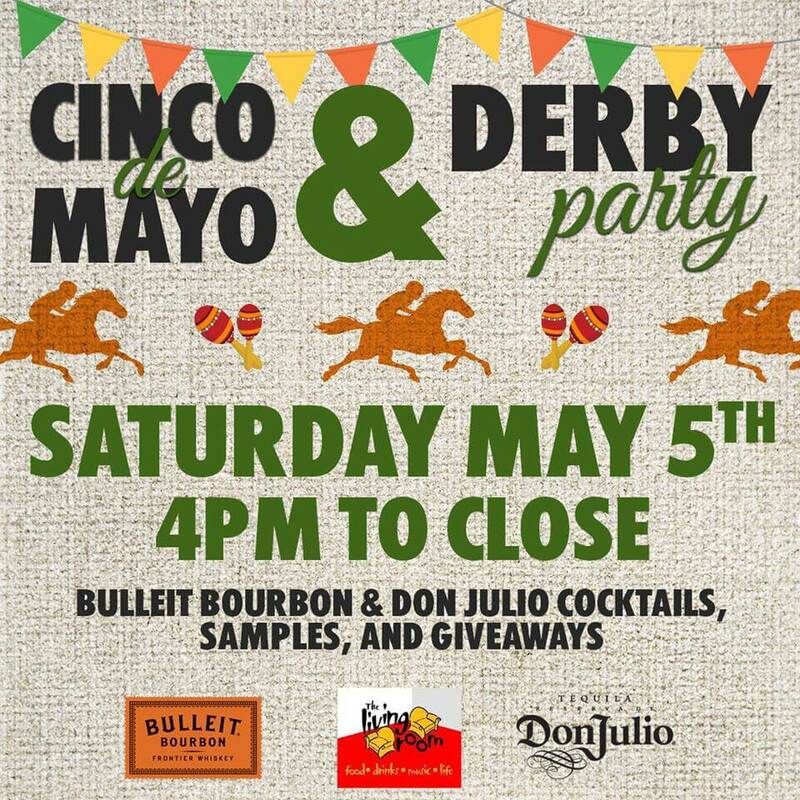 To get into the spirit of the day, we will be service Bulleit Bourbon and Don Julio cocktails until close. Come in your Derby Day finest to enter our Best Dressed contest! Raise your bourbon or mint julep for the start of the Run for the Roses at 6:45 PM and dance the night away with tequila and margaritas to our DJ this weekend. We’ll also be serving our full dinner menu with new items for spring! For more information or to make a reservation, call The Living Room at 617-723-5101!